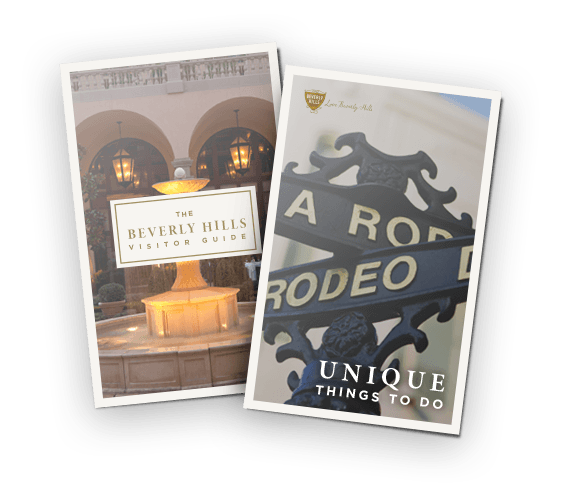 Beverly Hills is one of the world’s most sought-after locales. 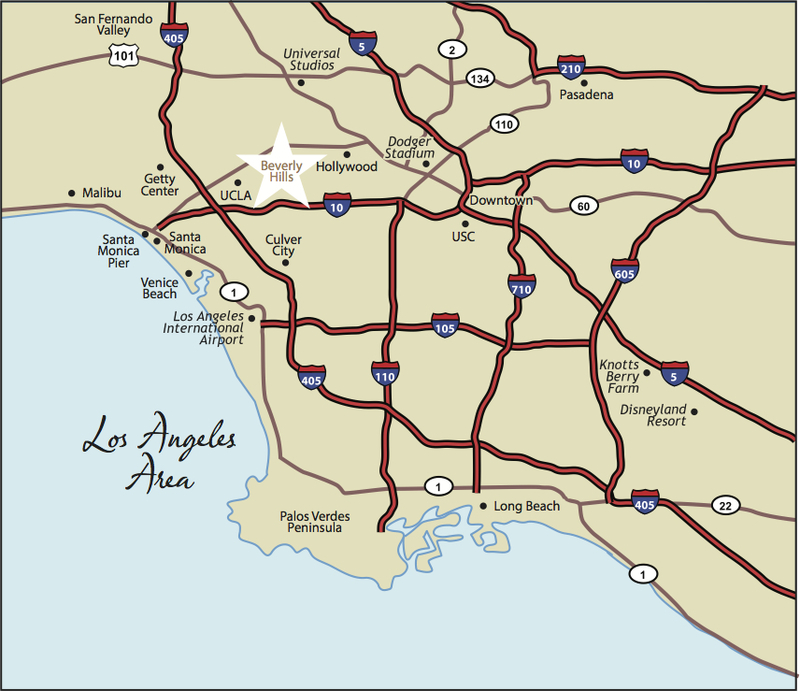 Centrally located in greater Los Angeles, Beverly Hills is a premier vacation and business travel destination, featuring beautiful weather year-round, acclaimed full-service and boutique hotel accommodations, sumptuous dining and incomparable shopping. 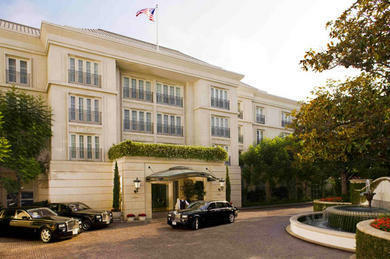 Synonymous with Hollywood glamour, Beverly Hills enjoys an international reputation as the home and playground of A-list movie stars. The city is not only known worldwide for its grand mansions and chic shops along Rodeo Drive, but also for its multitude of art and architecture, spas and salons, and exceptional walkability with most hotels mere steps from one another. 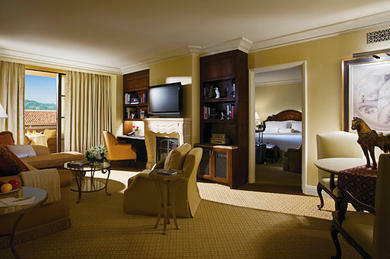 AKA Beverly Hills is the ideal choice for those seeking luxury accommodations for seven days or longer. It is an exclusive, contemporary residential oasis offering 88 spacious one and two bedroom furnished residences and spectacular bi-level townhouses. Gourmet kitchens, custom furnishings, outstanding residential amenities and attentive, personalized service are hallmarks of AKA. 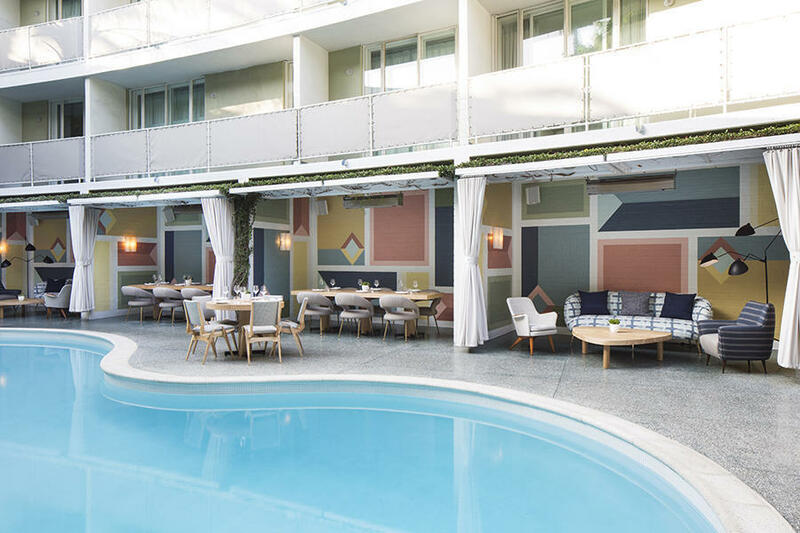 Situated at the southern tip of Beverly Hills, the Avalon Hotel Beverly Hills embraces the informality of California modern architecture and is set around a dramatic pool terrace with private cabanas and Viviane Restaurant. 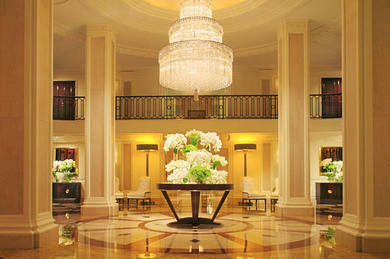 The Beverly Hills Hotel offers the glamorous ambiance of Hollywood's Golden Age. Set on 12 lush acres of beautifully landscaped property, this Five-Star, Five-Diamond hotel has been a celebrity hot spot since its opening in 1912. The fabled hotel continues to welcome celebrities, royalty and leaders from around the world with luxurious accommodations, exemplary service and unrivaled beauty. 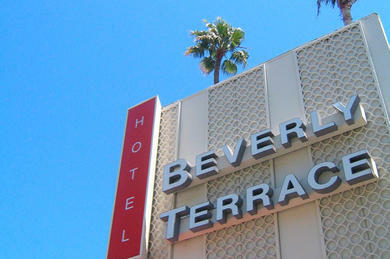 Frequented by generations of film industry icons from Marilyn Monroe to Elizabeth Taylor, The Beverly Hills Hotel offers 204 guestrooms and suites, including the 21 famous bungalows. 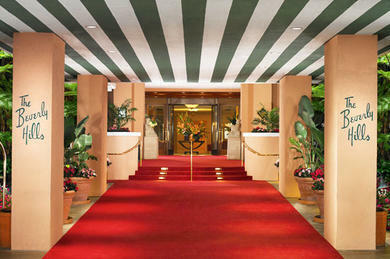 The Beverly Hilton, a Forbes Travel Guide Four-Star hotel is located at the gateway to Beverly Hills at the intersection of Wilshire and Santa Monica Boulevards. The hotel features 569 guestrooms, including 101 suites. With more than 60,000 square feet of upscale indoor and open-air event space all on the lobby level, the hotel's famed International Ballroom is the centerpiece of the International Collection. 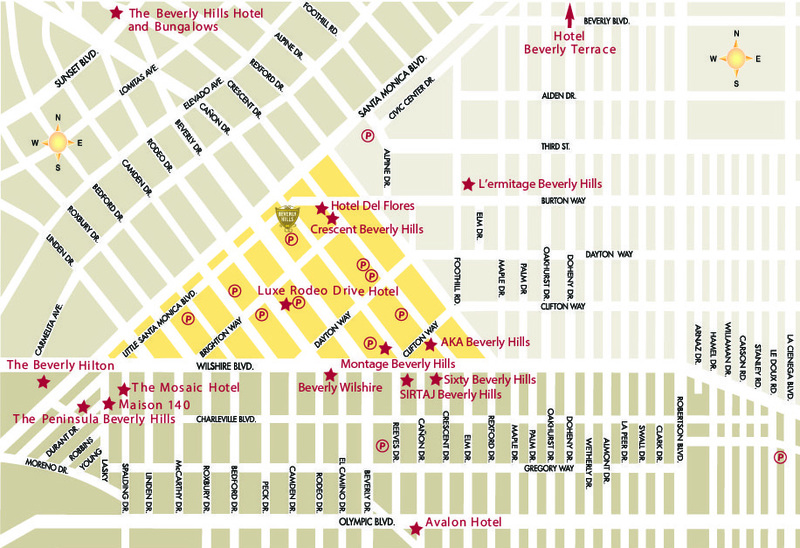 Located at the intersection of Wilshire Boulevard and famed Rodeo Drive, the 395-room Beverly Wilshire is in the heart of Beverly Hills. 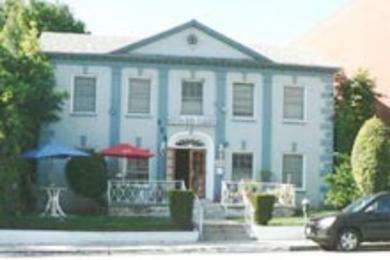 The hotel is designed in an Italian Renaissance style with the European influence. 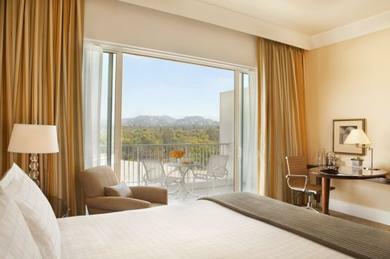 The hotel features a wide variety of dining options; include Wolfgang Puck’s Cut and the more casual The BLVD. Featuring two high-tech ballrooms seating up to 880 with services and amenities that can be tailored to events both big and small. The hotel is perhaps most famous as the backdrop for the film Pretty Woman. 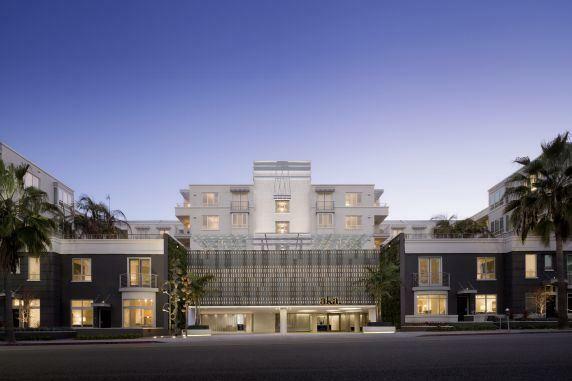 Situated within the heart of the famed Golden Triangle and steps away from Rodeo Drive, Crescent Hotel Beverly Hills was originally built in 1927 and artfully renovated in 2013, and offers an array of amenities and services in an intelligently designed space. 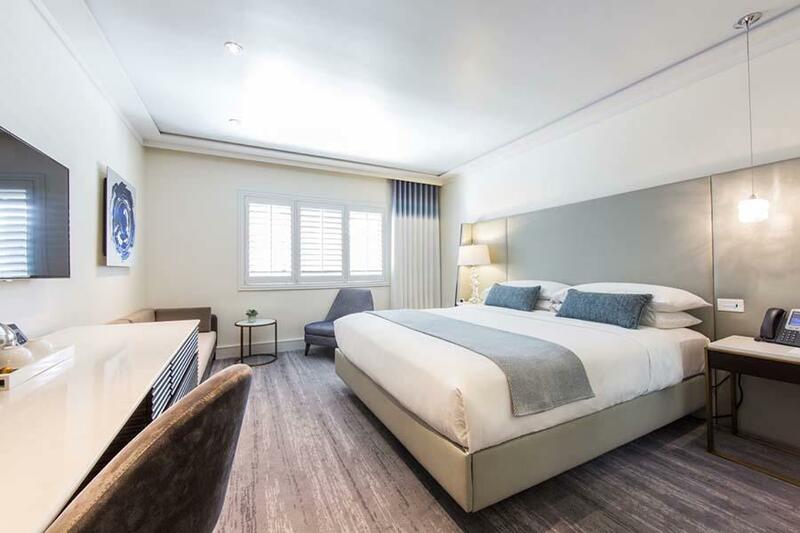 The newly renovated boutique hotel depicts a modern Beverly Hills style with the glamour of the 1920's Hollywood era, featuring 35 individually decorated guestrooms, a restaurant, bar, lounge, and palm lined terrace. Situated at the northeast corner of Beverly Hills, Hotel Beverly Terrace offers both the business and leisure traveler an intimate 39 room hotel that boasts contemporary Asian décor with bursts of fiery red and cobalt blue accents throughout. Guests also have access to one of the best Italian restaurants in town - Trattoria Amici, located immediately adjacent to the hotel. Hotel del Flores is an intimate hotel with 40 rooms. Those traveling on a budget will appreciate this property, located around the corner from Rodeo Drive and a myriad of fine dining and exclusive shopping experiences. 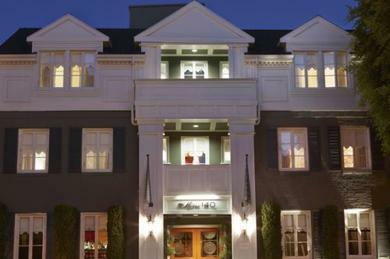 Luxe Rodeo Drive Hotel is the only hotel on prestigious Rodeo Drive, featuring 88 rooms, furnished in a simple, yet refined style that strikes a balance between casual elegance and luxury. With several indoor and outdoor event venues to choose from the Luxe Rodeo Dive Hotel offers the perfect space for any intimate gathering. Maison 140, a former bed and breakfast, is an intimate boutique hotel with 43 rooms, transporting guests to a classic Parisian inn, designed by acclaimed designer, Kelly Wearstler. The classic brick façade, complete with dormers, potted topiaries and signature red-lacquered doors, serves as a warm respite from the bustling Beverly Hills atmosphere. The intimate Bar Noir is a stylish meeting spot for hotel guests and Beverly Hills locals alike. 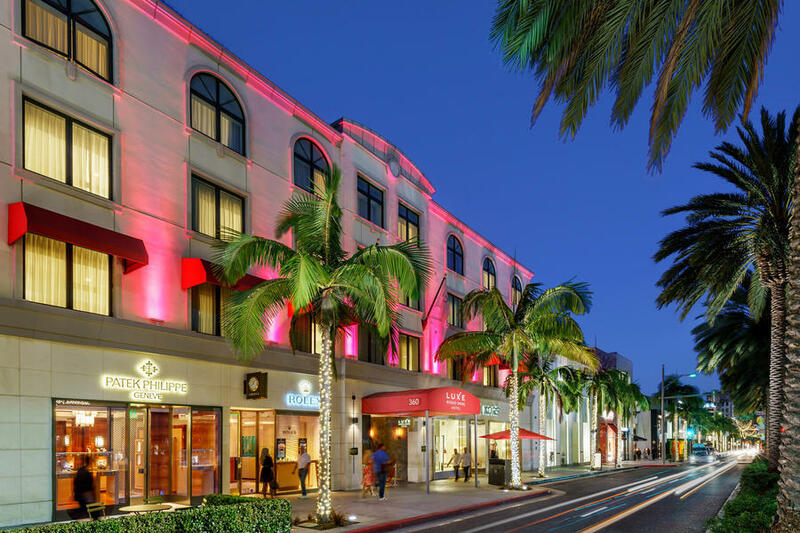 Located in the Golden Triangle and just steps from Rodeo Drive, this Forbes Five Star and AAA Five Diamond hotel offers 201 lavish guestrooms, including 55 suites, paying tribute to both vintage Hollywood and modern-day luxury. The Mosaic caters to the savvy business traveler with its sophisticated and affordable ambiance and amenities. The intimate hotel draws elements from around the world for its soulful design and luxury. The hotel features 49 rooms including suites, while the hotel restaurant and bar provide the perfect setting to enjoy Beverly Hills dining, cocktails and casual conversation. 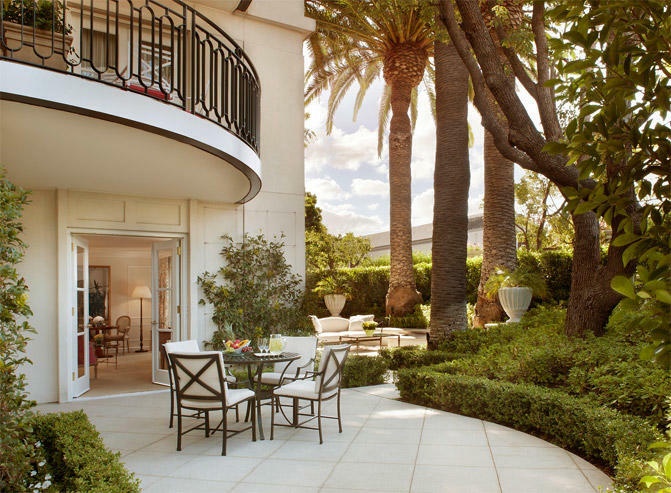 The only AAA Five Diamond and Forbes Five Star-rated hotel in Southern California every year since 1993, The Peninsula Beverly Hills offers 194 guest rooms, including 38 suites and 16 private villas, nestled among lush tropical gardens in the heart of Beverly Hills. The garden Villa Suites also have access to a private entrance to the hotel's back gate, providing complete confidentiality for guests. Set on a tree-lined neighborhood street and across from peaceful Reeves Park, the Sirtaj is not a typical metropolitan hotel. Located steps from the city's famously chic boutiques, dining and nightlife, Sirtaj Hotel provides guests with the ultimate in access, while remaining an oasis of serenity. 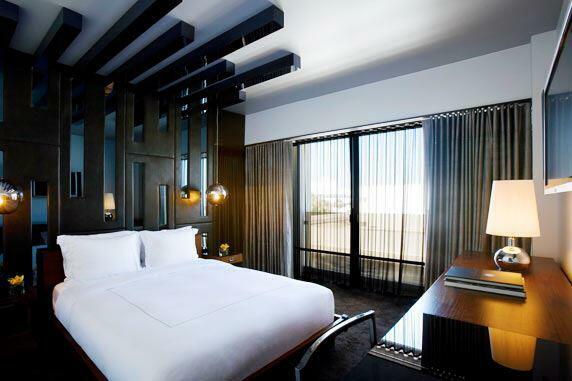 The boutique property features 32 sleek and modern rooms that offer the guest a touch of eastern hospitality. Sophisticated and welcoming, Sirtaj is an oasis for the independent-minded traveler. The design of Sixty Beverly Hills blends the philosophy of California Modernism with touches of authentic exotic materials, inspired by the non-directional furniture movement of the late 1970s and early 1980s. 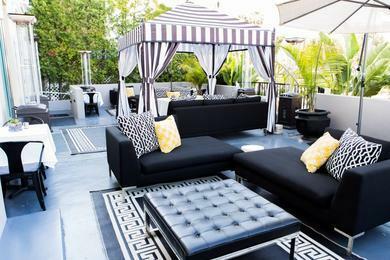 Designer Dodd Mitchell has outfitted the hotel with custom-made furniture and fixtures that reflect the merging of the Bohemian and gritty nature of downtown Manhattan with the manicured lawns and pristine homes of Beverly Hills. Sixty Beverly Hills offers a rooftop pool and lounge with superb views of the city. For the past fourteen consecutive years, Viceroy L’Ermitage Beverly Hills has earned the Forbes Five Star and AAA Five Diamond Awards with its 117 spacious guest rooms and suites embodying luxury and serenity. 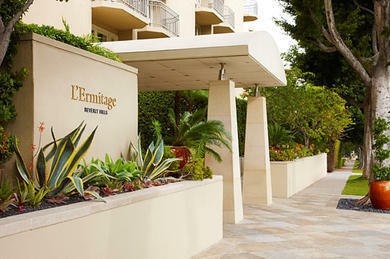 Viceroy L'Ermitage Beverly Hills stands among the finest of Beverly Hills, California luxury hotels, a stately property embodying the spirit of a sophisticated private club and a gracious urban residence. 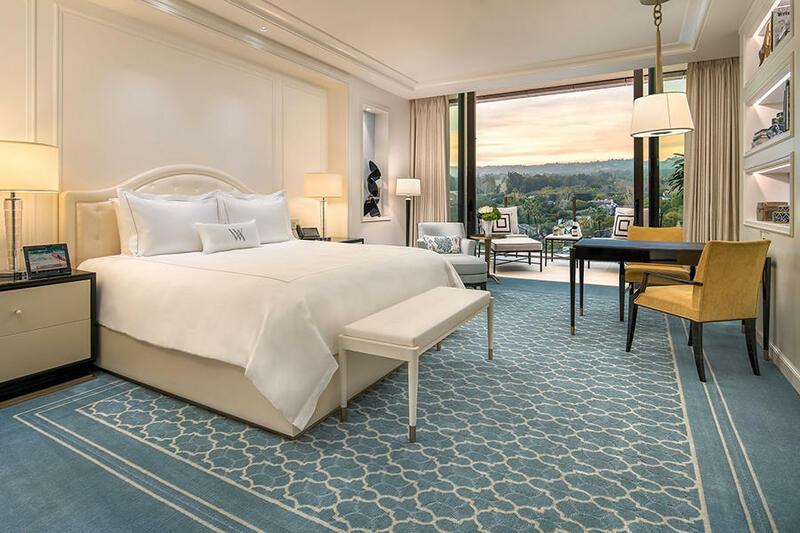 As the luxury brand's first west-coast build, Waldorf Astoria Beverly Hills features 119 deluxe rooms and 51 suites, offering unrivalled views in every direction. The five-star hotel offers luxurious accommodations, amenities, unique anticipatory service and exclusive dining options by Michelin-star rated chef Jean-Georges Vongerichten.